Having good aviation risk management training is perhaps one of the most important ways to improve safety in your organization. Good training is also not inexpensive, and it takes you and/or your employees away from regular duties. In other words, nobody wants to waste their time and money. Simply put, bad training is a risk that needs to be accounted for. 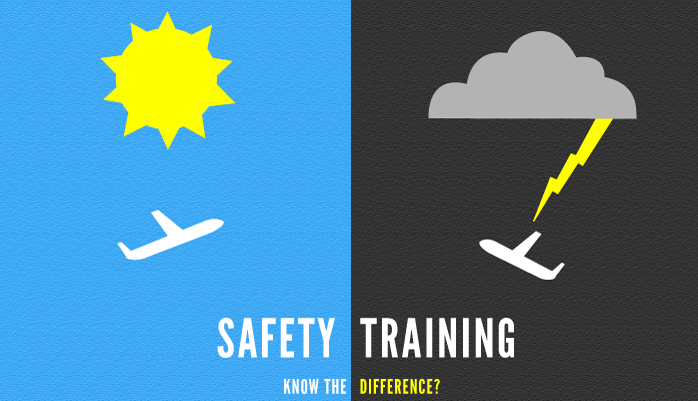 When looking at these three things, here are 3 primary ways to evaluate the effectiveness of aviation safety training. If you really want to know how effective an aviation risk management training course is you need look no further than a pre-course assessment and end-of-course assessment. Without both assessments, you will have very little idea about how effective the training was in improving your abilities/knowledge. If you had also taken a pre-assessment and received an 85%, then the training actually only marginally improved your abilities. Monitor average pre to end assessment improvements to assess whether current training is effective or not. Assessments before and after training are both crucial for understanding the quality of an aviation risk management training course. If a training course does not include these elements, you may want to look elsewhere. Understanding the meaning of ideas. Ability to identify “definitions” in the operational environment. All three above points will be immensely more useful in the actual work environment. Training that focuses on these points takes the training a whole step further than merely remaining on an “academic” (i.e., definitions, concepts, ideas) level. Academic training will be forgotten right away. The last thing you will want to do to monitor the effectiveness of aviation safety training is monitor relevant safety data in the months leading up to the safety training, and then compare that data to the same metrics in the months after the safety training. If the training was effective, you will see positive changes in your safety metrics. For example, if you are monitoring the effectiveness of hazard identification training, you would want to gather several metrics that indicate the hazard reporting culture before the training, such as average issues reported per employee, average number of issues reported per day, average severity of issues, etc. from the months BEFORE training. Then evaluate those same metrics for the months AFTER training. If the training was a success, the average number of reported issues will increase, and the average severity will decrease.